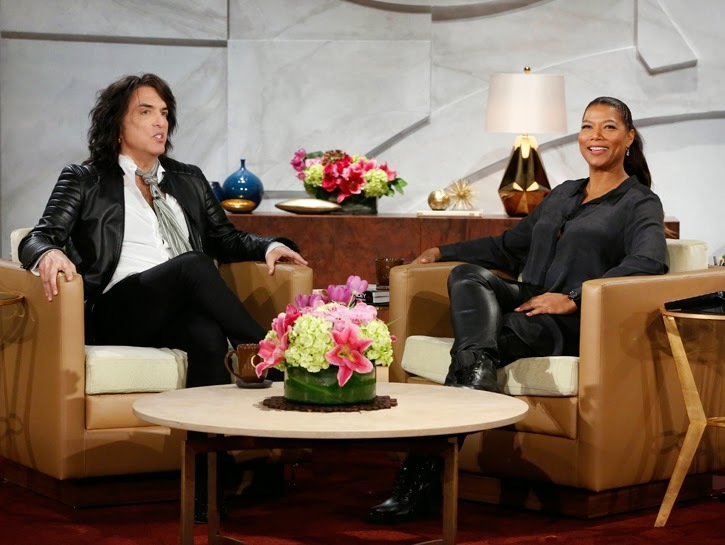 KISS frontman Paul Stanley was a featured guest on The Queen Latifah Show on Thursday. On hand to promote his memoir, “Face The Music: A Life Exposed”, Stanley and the host discussed a variety of topics, including parenting, lifestyle choices and a turning point in the singer’s career path. Published in April 8, the 432-page memoir chronicles Stanley’s life and rise to global success with KISS, which he co-founded in January of 1973 with bassist Gene Simmons from the ashes of the pair’s previous band, Wicked Lester. The book debuted at No. 2 on the New York Times "Hardcover Nonfiction" best sellers list upon its release. Two days after the book was published, Stanley and the original lineup of KISS were inducted into the 2014 Rock & Roll Hall Of Fame at a ceremony in New York, alongside Nirvana, Peter Gabriel, Hall and Oates, Cat Stevens, Linda Ronstadt, and The E Street Band.